1. How do we sign up our school, business or group for the coat drive competition? Please visit www.jlaustin.org/coats and click on “Participate in a Coat Drive” or go directly to the Organize a Coat Drive Page. You will be asked if you are a business/group or a school. 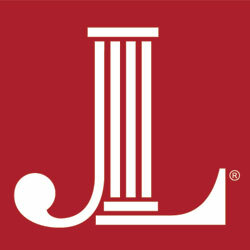 Once registered, you will receive more information from The Junior League of Austin. All Coats for Kids Coat Drives will kick off in November. 2. What does The Junior League of Austin provide if we decide to participate? Once you have registered on our website, our Coat Drive Coordinators will be in touch with specifics, printable posters/flyers as well as suggestions on how to host a successful drive. We do not provide barrels or boxes for collection. The Junior League of Austin provides a special recognition banner and plaque to those organizations who collect the most coats during the drive. We will present all awards live on KVET in early December. 3. When does the coat drive begin and/or end? The Coats for Kids Coat Drive kicks off the first or second week of November and runs for three consecutive weeks. Please check our website for the most up-to-date information. 4. Will The Junior League of Austin come to our business or school to pick up the collected coats? All coats need to be dropped off at any Jack Brown cleaners. At drop off, Jack Brown Cleaners will provide a receipt for the number of coats delivered. Each week, organizations participating in the coat drive are asked to email a copy of the receipt to cfkcoatdrive@jlaustin.org. 5. Why Jack Brown Cleaners? For over 30 years, The Junior League of Austin has partnered with Jack Brown Cleaners during the Coats for Kids Coat Drive. Jack Brown accepts all used coats and cleans them prior to distribution day. You can find the nearest Jack Brown Cleaners by visiting their website: www.jackbrowncleaners.com. 6. Do you collect coats year round? Unfortunately we do not have the storage space to collect coats year round. Collection begins in early November and runs through early December. If you have coats to donate at other times of the year, please consider donating them to a local non-profit that provides clothing to those in need. 7. What sizes/types/colors/gender of coats do you collect? Kids come in many wonderful shapes and sizes, so we collect all colors and sizes of new or gently used coats. We are in most need of coats for ages 5 to 12. 8. Do you collect anything other than coats? 9. I am not in an organization or school participating in a drive. How can I donate coats? Thank you for wanting to donate! Any Jack Brown Cleaners in Austin will take your coats and deliver them to our Community Coat Drive in December. You can find the nearest Jack Brown Cleaners by visiting their website: www.jackbrowncleaners.com. 10. I don’t have any spare coats but I want to help. What can I do? We love volunteers! Distribution Day is the second Saturday in December, and we will have shifts available for adults over the age of 18 to participate. Please check our website www.jlaustin.org/coats and click the “Volunteer” tab to learn more. Due to the number of children we serve, we also purchase new coats. Consider donating to Coats for Kids by clicking the Donate tab on our website. One hundred percent of your donation to Coats for Kids will help The Junior League of Austin to bring a warm winter coat to a child this winter. 11. I still have questions about the COATS FOR KIDS Coat Drive, who do I contact? You can reach our Coat Drive Coordinators via email cfkcoatdrive@jlaustin.org or by phone (512) 467-8982 ext 9029.